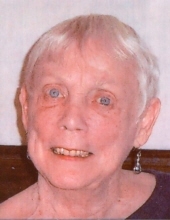 Bette L. Phoenix, 82 of Bloomington, passed away at 5:05 am Sunday April 14, 2019 at her residence. A memorial service will be held at 11:00 am Sat April 20th at Calvert Metzler Memorial Home, Bloomington. Cody Gaesser will be officiating . Visitation will be Saturday 10:00 – 11:00 am at the funeral home. Bette was born December 11, 1936 in Gary, Indiana, the daughter of Richard & Lucy (Towner) Cunningham. She married David Phoenix January 31, 1957 in Gary, Indiana. He survives. She is also survived by three children, David Phoenix, Bonnie Phoenix and Todd Phoenix; Four Grandchildren, Kevin Phoenix, Bradley Phoenix, Molly Phoenix and Kayla Gaesser; and One Great-Grandchild, Noah Gaesser; and Two Brothers, Robert Cunningham and Lawrence Cunningham. Bette was employed with the Bloomington Public Schools and with State Farm Insurance. Bette was a loving Wife and Mother, who enjoyed spending time with her children, grandchildren and great grandson. She was dearly loved by her Husband of 62 years and will be missed by all who knew and loved her. "Email Address" would like to share the life celebration of Bette L. Phoenix. Click on the "link" to go to share a favorite memory or leave a condolence message for the family.